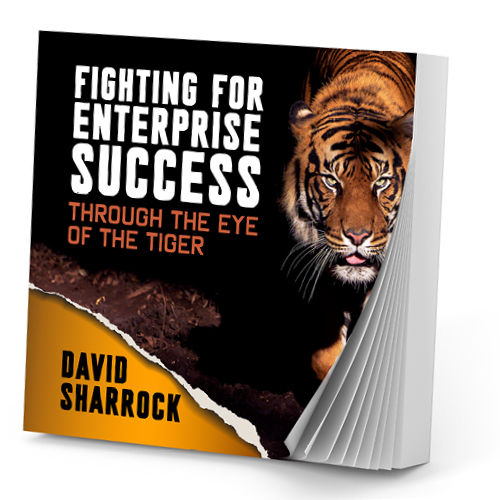 A book by Lawyer, David Sharrock of Sharrock Pitman Legal, comprising a 440-page journey through 44 years of personal and enterprise experience, with 68 self-assessment tools, samples and templates. Develop your leadership motivation & resilience. Understand leadership dynamics & team building. Explore systems models, strategies & plans. Learn the wonder of putting the customer first. Go from vision to values, from principles to purpose. Expand entrepreneurial creativity for new business opportunities. A book by lawyer, David Sharrock, of Sharrock Pitman Legal comprising a 440-page journey through 44 years of personal and enterprise experience, with 68 self-assessment tools, samples and templates. Connect with the person behind the wisdom with David’s candid stories of greatest hits, near misses, and a lifetime of inspired success.